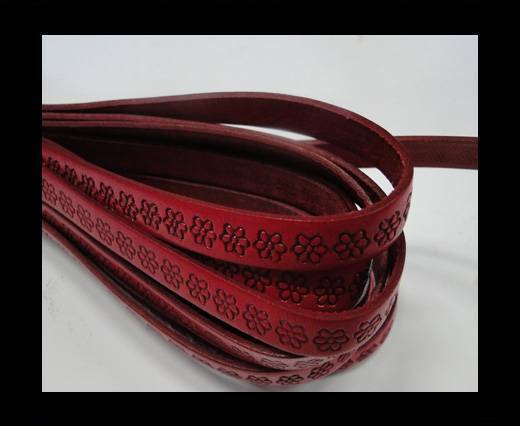 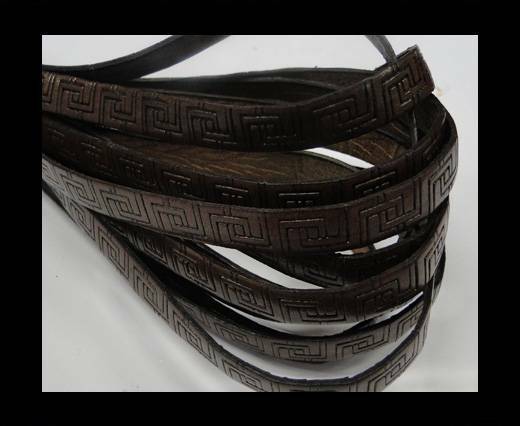 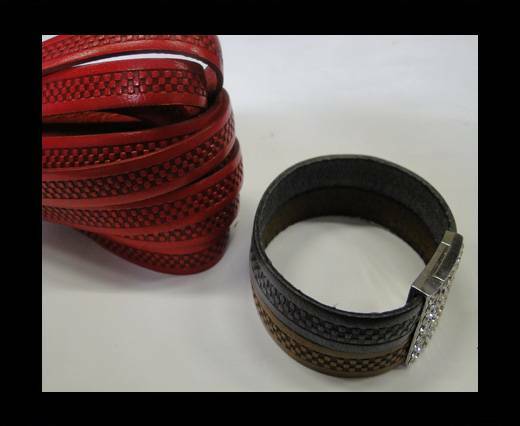 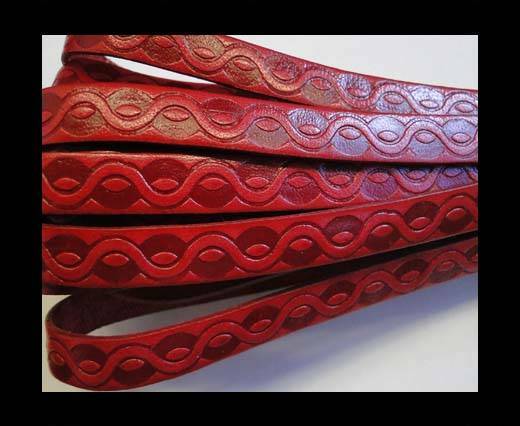 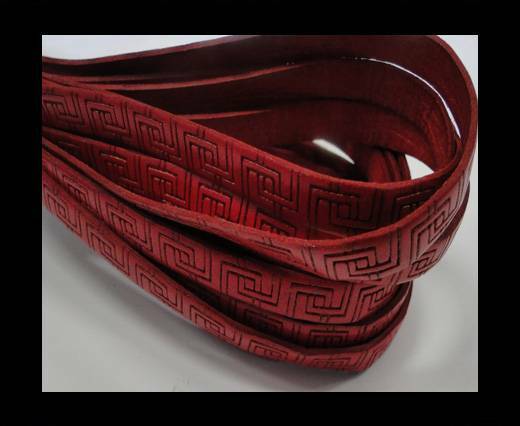 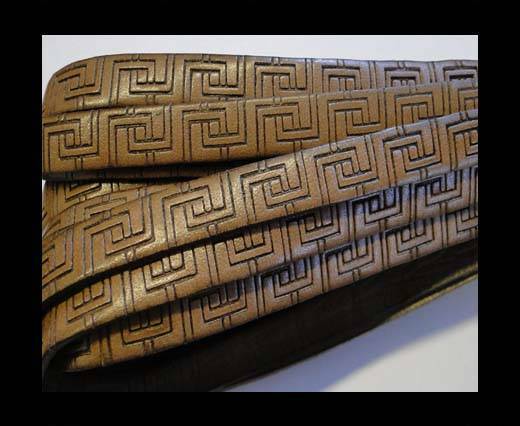 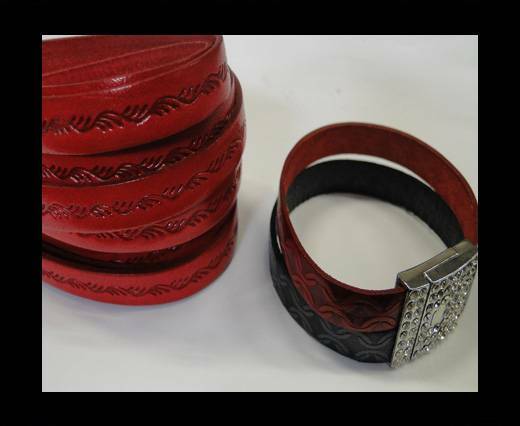 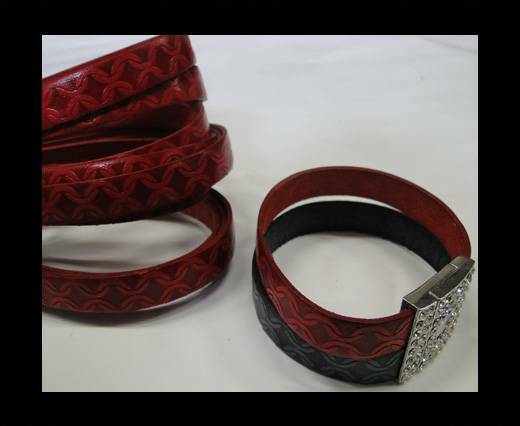 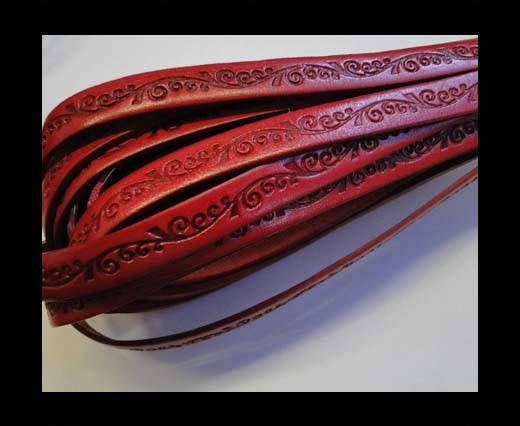 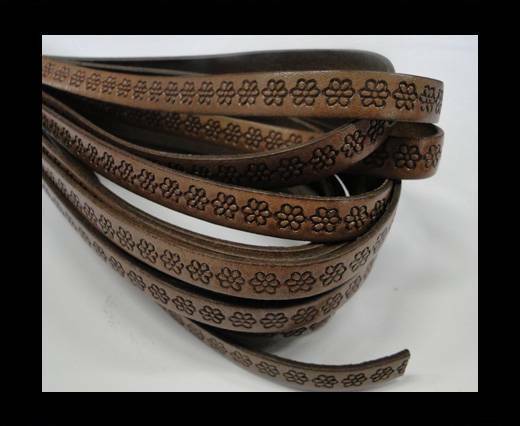 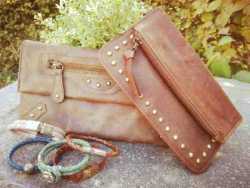 High quality leather with designs embossed available in various colors such as brown, black, red and other shades of these colors!! 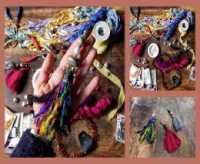 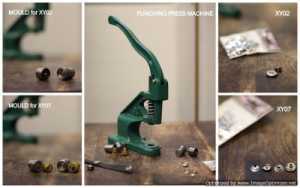 It is easy to handle in production and convenient for jewelry making. 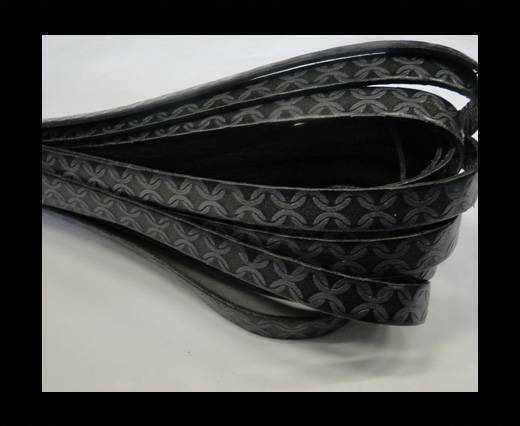 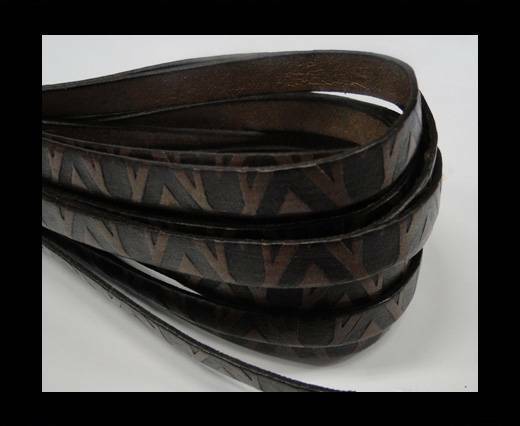 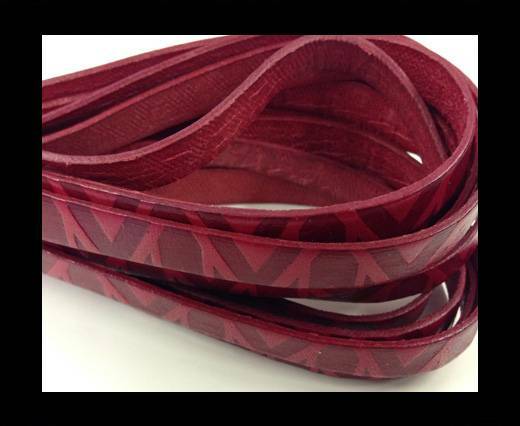 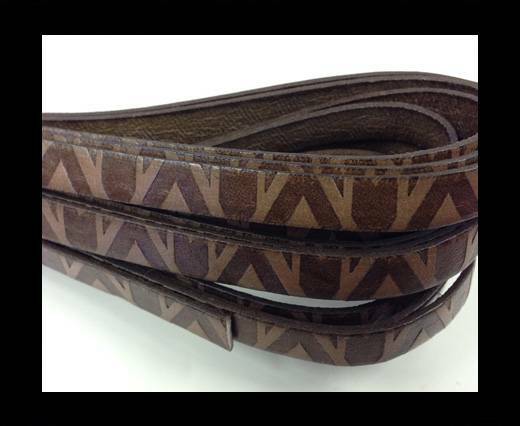 Different natural prints are possible to have on this flat 10mm wide leather. 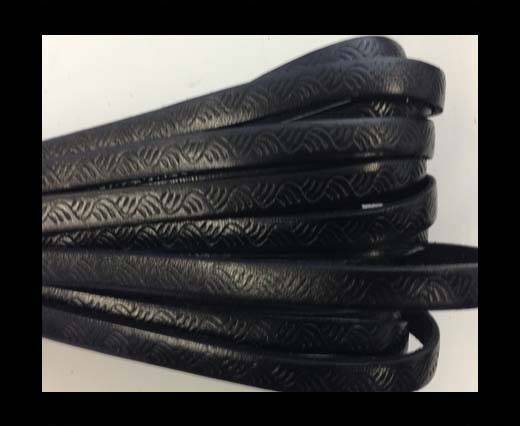 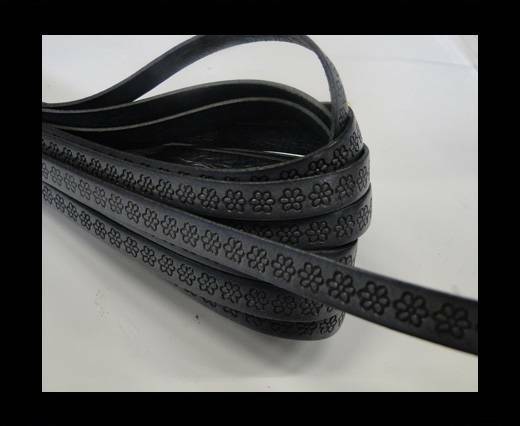 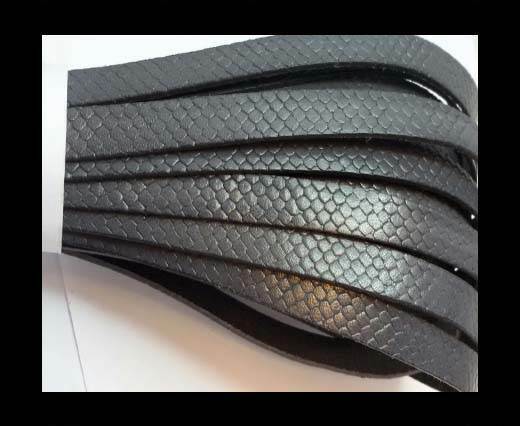 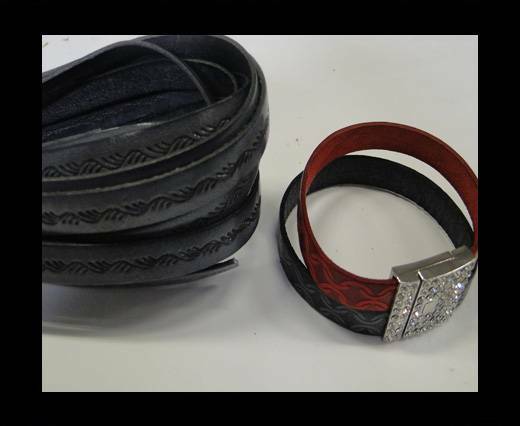 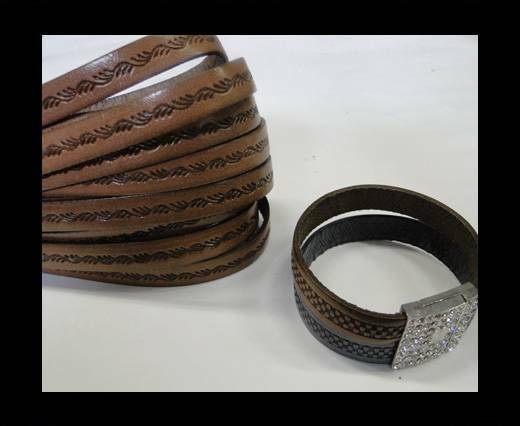 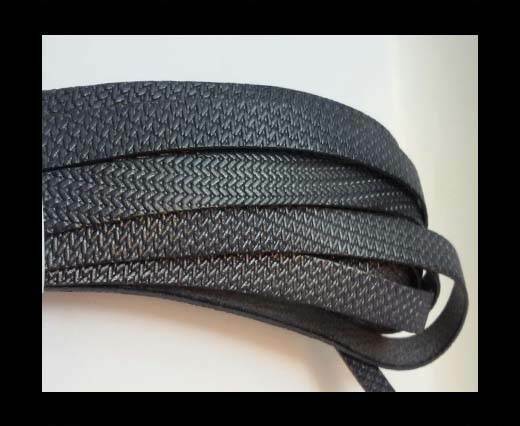 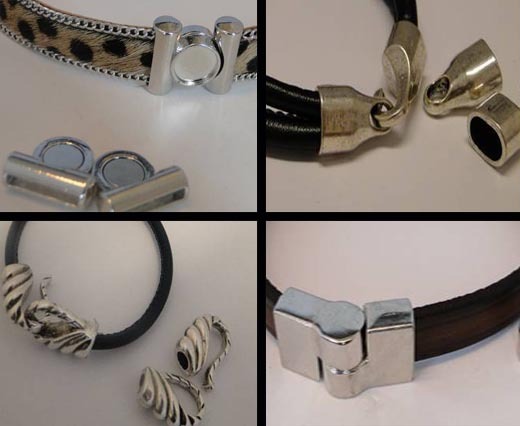 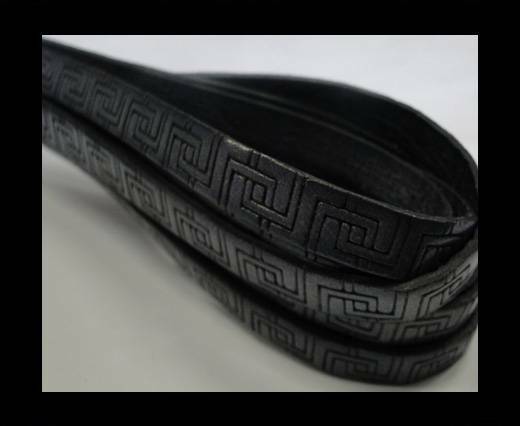 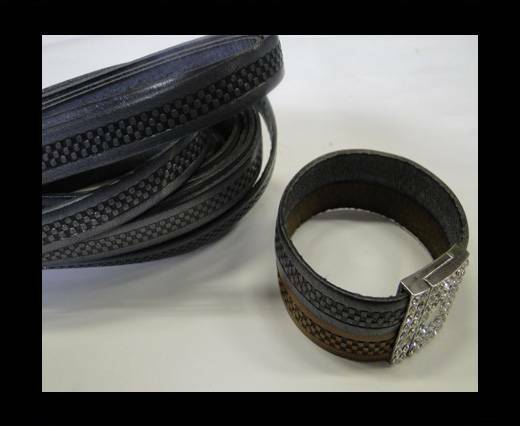 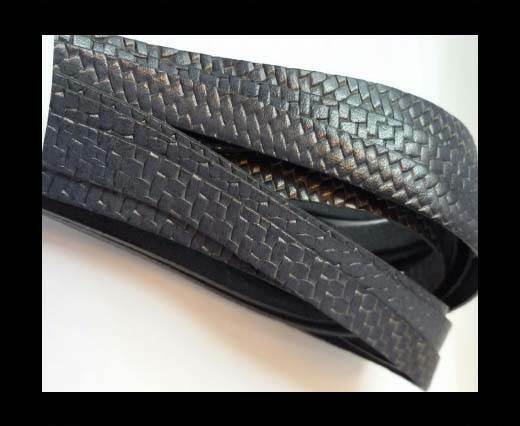 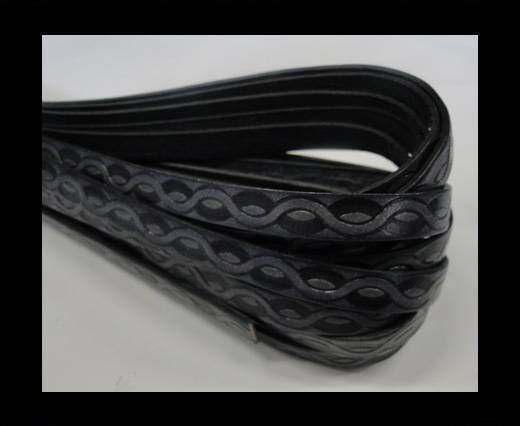 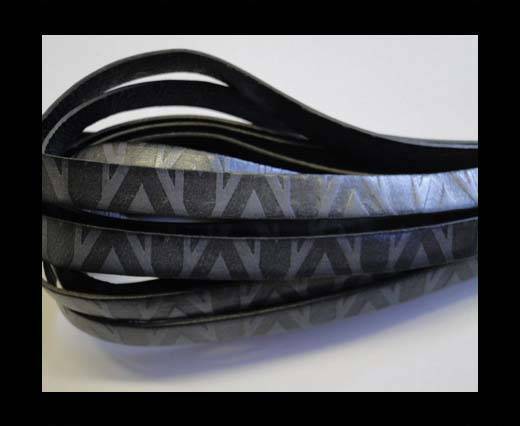 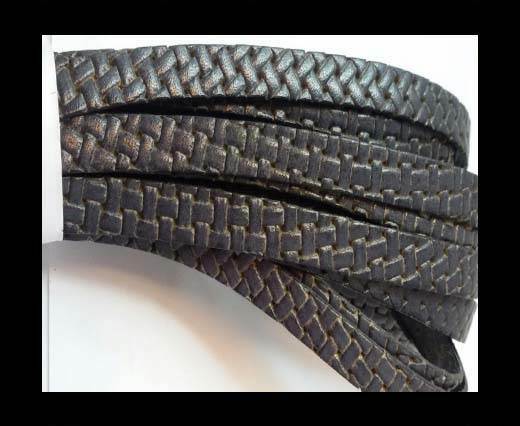 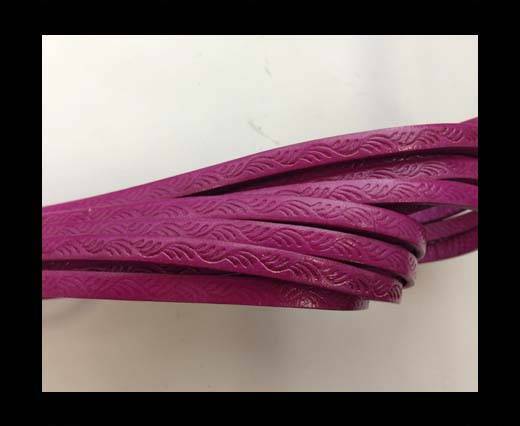 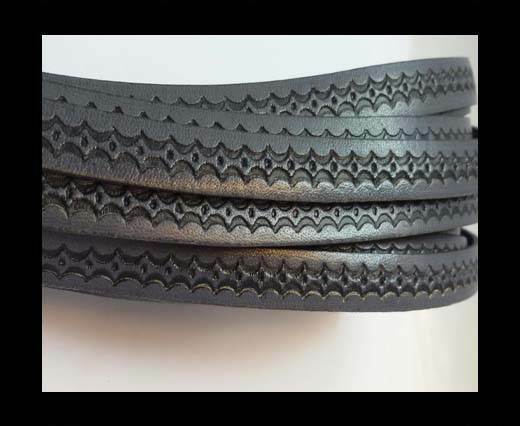 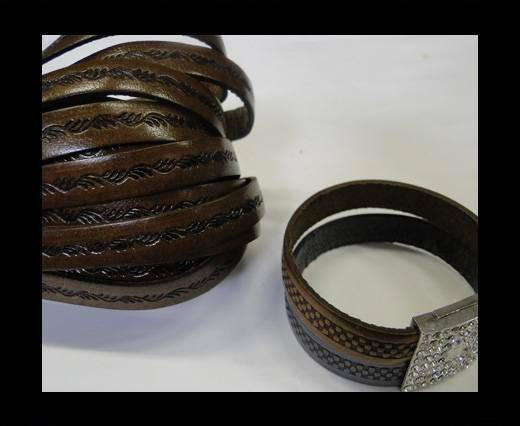 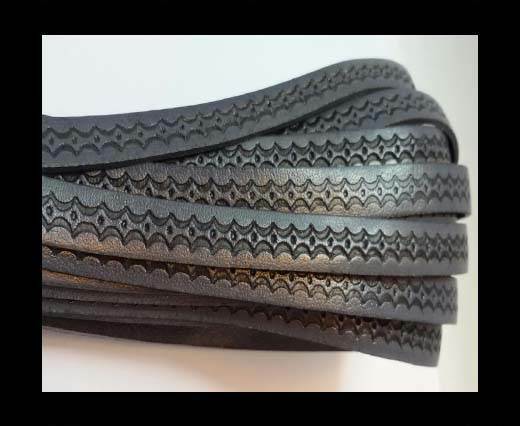 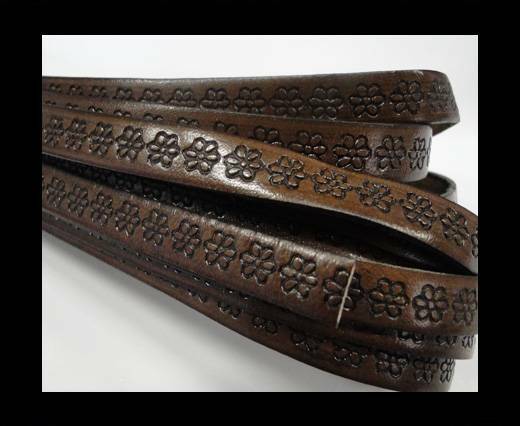 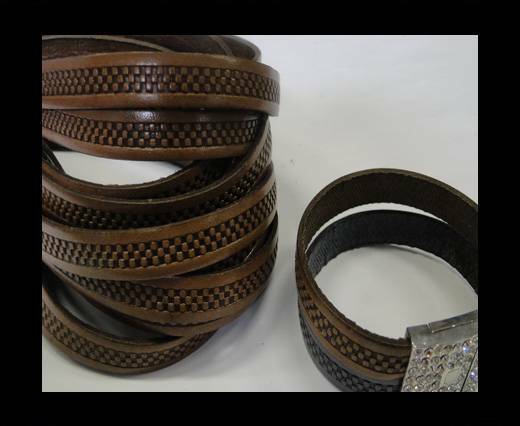 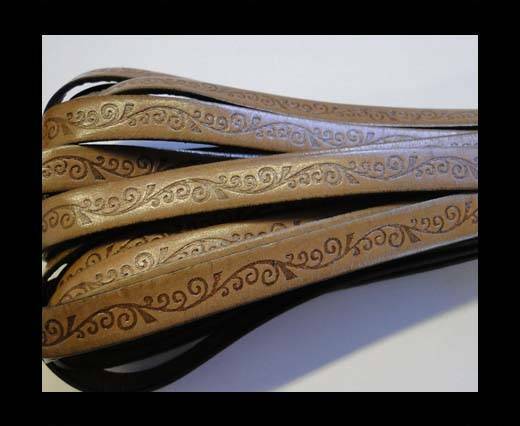 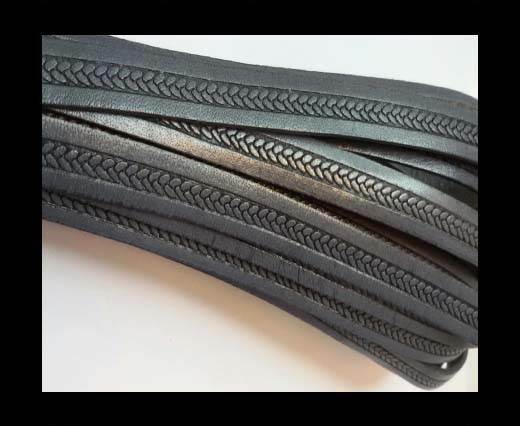 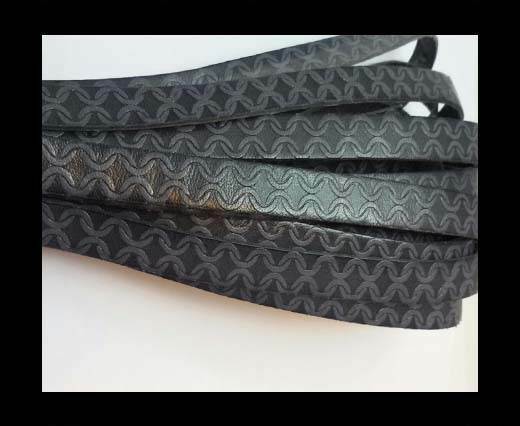 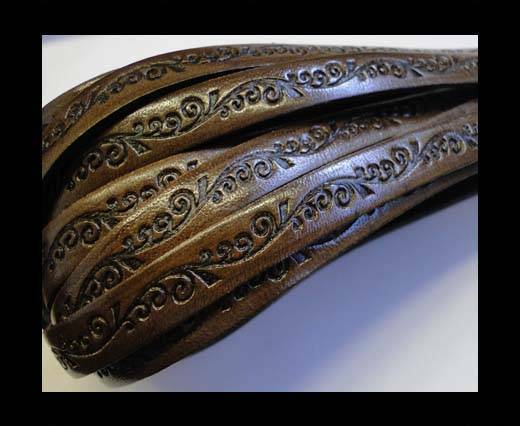 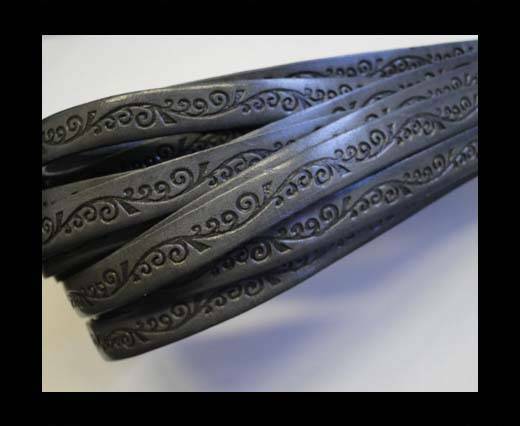 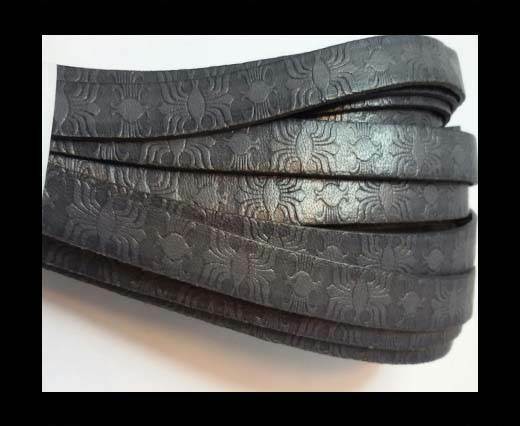 This leather in 10mm can be easily used with our stainless steel locks, findings in steel and silver plated locks to create bracelets in different styles. 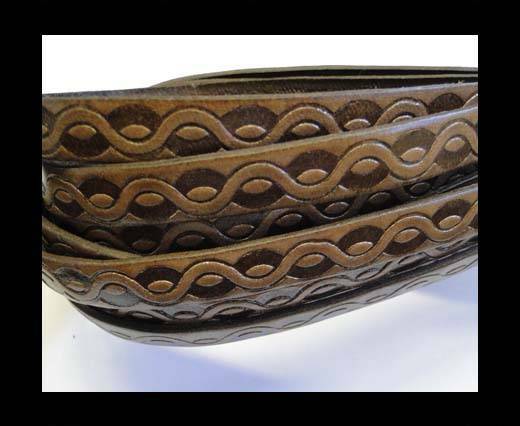 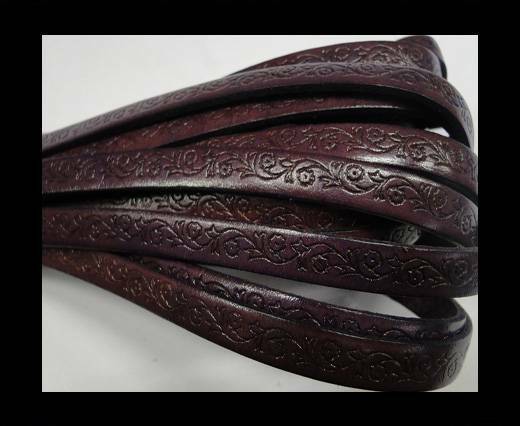 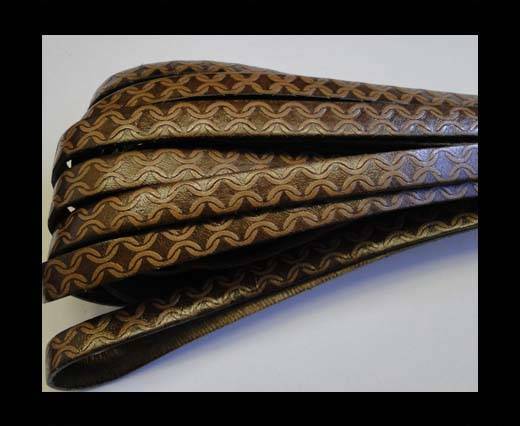 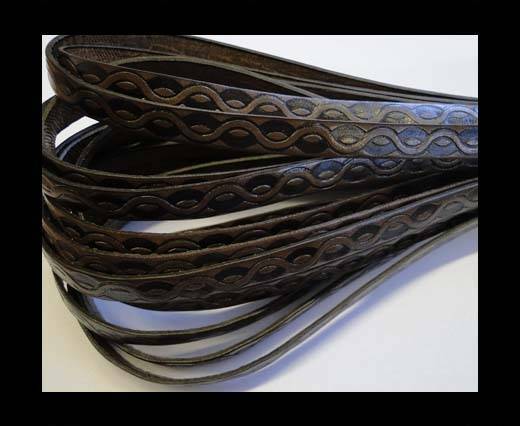 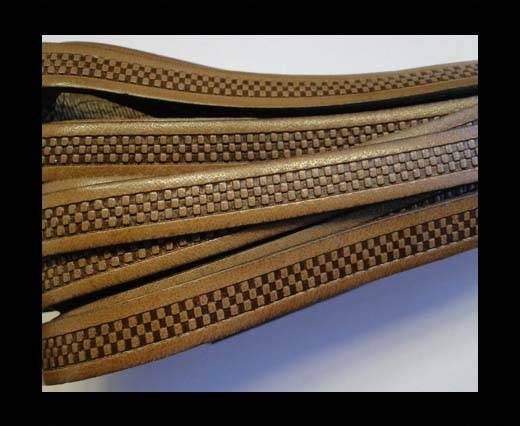 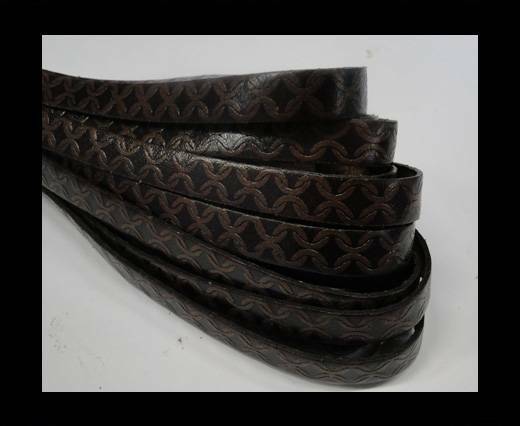 Another way of using this leather is in combination with other styles of leather (braided, leather cords, etc), suede cords, silk & hair-on.